In The Witcher 3, it has a few other things to consider too since it's an RPG but the it's combat is outstanding. It's rich and engaging and gives the player the ability to nuisance the way they actually approach combat. 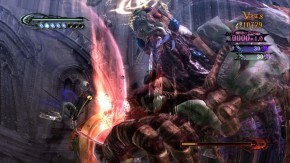 It has two different ways to dodge attacks: short and dodge roll. Short dodging requires the player to be much more precise in their movements but offer up opportunities to counterattack. Dodge rolling is much safer and will move you away from the action but doesn't really give you anywhere to counterattack. 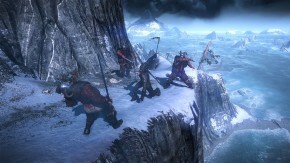 The game itself then encourages mastery of both by putting the player into cramped spaces or having enemies with AOE attacks. Great games in this genre should always be encouraging players to be better. Bayonetta in particular even rewards you for the preciseness of your movements with Witch Time. The higher the difficulty climbs the more important these things are, and many hack 'n slash games are some of the most notoriously difficult games ever made. Not many games can boast that the game had to be re-released because it was too difficult, I'm of course talking about Devil May Cry 3. Somehow the difficulty settings got skewed so American Normal because what was actually Hard mode in Japan. It can make for a truly brutal experience but if you can actually pull it all off... few other experiences in gaming even come close. Part of the issue with these types of games though is two fold: 1. They are difficult to make. 2. Because of their difficulty they're not always the most popular games. I had an original copy of Devil May Cry 3 and that game made me put it down for a couple months sometimes. Granted I was playing on Hard mode for a game that as I mentioned before was re-released due to brutal difficulty. Still though, while the highs of pulling off a fight are really high, the lows of being beaten into the dirt are really low. Especially since the controls are often extremely precise to the point that whether you want to admit it or not it was only your fault that you failed. Which is not something people in general actually appreciate these days.